Wally Lewis is generally considered one of the greatest Rugby League players of all time. Nicknamed The King, he represented Queensland in 31 games from 1980 to 1991 and was captain from 1981 to 1991. He was named Man of the match in 8 State of Origin games. He also represented Australia in 33 international matches from 1981 to 1991 and was national team captain from 1984 to 1989. A statue was raised in his honour at the Brisbane Suncorp Stadium. On his retirement from professional football, Wally works as a commentator and sport presenter for Channel Nine. Wally is also the ambassador for QLD epilepsy and is dedicated to helping raise awareness for Epilepsy. 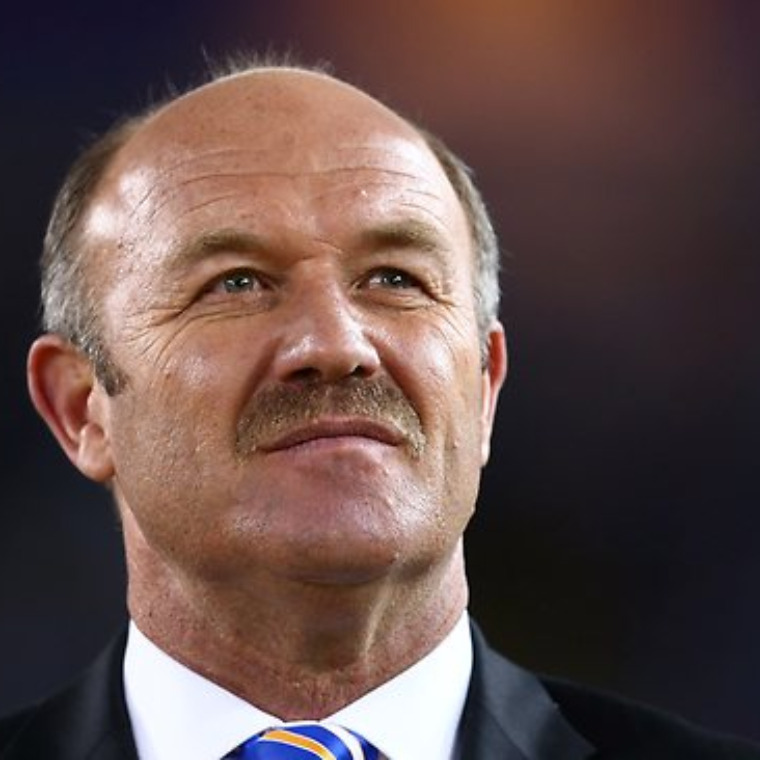 Forward from “Out of the Shadows” Former rugby league legend turned TV news presenter, Wally Lewis, will forever be known to his fans as ‘The King’. He could do what appeared to be impossible on the field and yet, unbeknown to those around him, he was hiding a secret. When Wally had an epileptic seizure live on air in November 2006, his world came crashing down around him. The medical condition he’d spent two decades attempting to conceal from the public had been brutally exposed. With his health on a downward spiral, the only solution was the one that terrified him the most — brain surgery. While the rugby league world tried to come to terms with the vulnerability of ‘The King’, Wally and his family prepared for the toughest battle of his life. But the surgery wouldn’t be the end of his struggle. Out of the Shadows is Wally’s startlingly candid account of his life since his retirement from rugby league — from the darkest days of depression and debilitating seizures to his hard-fought recovery and triumphant return to the nation’s TV screens.